Rumors about famous music streaming service Spotify launching its own music hardware has been doing the rounds for quite some time now. Now, according to a new report from The Financial Times, Spotify is all set to officially release its in-car music player for around $100 later this year. 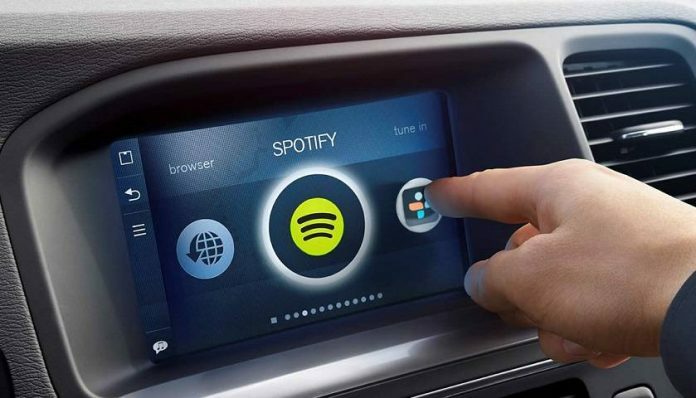 Spotify users will be able to control the in-car player by pairing it to the car’s sound system via Bluetooth. The device is also said to support voice commands and has preset hardware buttons. The voice control will be made possible via the company’s own in-house “Spotify Voice” system. This will enable drivers and passengers to summon audio in the car without taking their eyes off the road. Further, the preset buttons will reportedly provide one-push access to favorite albums or playlists. Spotify has been working with Flex, an electronics manufacturer, to develop the device. Both Spotify and Flex declined to comment. By launching its own in-car music player, Spotify is looking to gain independence from Apple’s CarPlay, Google’s Assistant and Android Auto, and Amazon’s Alexa and instead compete for in-car dominance. Recently, Spotify had launched a simplified Car View mode for its Android app that allows users to control music while driving. This mode gets automatically activated when the app detects the vehicle’s Bluetooth connection.